How to keep my eyemask from giving me blackheads? I sleep with an eyemask, have for years, but it gives me pimples/blackheads. Suggestions? For 8+ years I have been sleeping with an eye mask. My mother makes them for me (a new one every year or so with something new embroidered on them... right now it reads "Padackles"... I'm a Supernatural fan, so kill me! ha ha ha) and they are by far the most comfortable eye masks I have ever slept with (having tried lots of purchased ones in the past). The ones she makes usually they have a flannel or fleece lining to rest against my face. I wash the mask regularly with my laundry, so it isn't particularly skuzzy or nasty, and it isn't overly tight (I don't have an imprint of the mask on my face in the morning), but it is just snug enough to more or less stay in place. The problem is that despite my skin being generally quite clear, I frequently get blackheads/pimples where the mask lays between my eyes. Nothing major, mostly blackheads/whiteheads, but enough that it is irksome. So does anyone have any suggestions to keep them from happening or at least how to get rid of them? Do any other eyemask sleepers have the same problem? Also, the solution is not "stop sleeping with an eyemask". For those of you that are in the habit you know how impossibly hard it is to sleep without one. 1) a clean eye mask every night, no reusing. Minimizes bateria. 2) all eye masks made of natural, breathable fiber such as cotton. Encourages absorption of sweat. 3) wash the eye masks with unscented soap. Minimizes irritation from harsh fragrances. No more fleece- it's a synthetic fiber and does not allow airflow properly. Maybe see if she can try a brushed cotton, which is nice and soft, or make sure the flannel is 100% cotton? My gut says linen is best against the skin, but it won't be as soft so you may not like it. If she uses fiberfill I'd also suggest switching to cotton from the poly stuff. Maybe see if she can make you two or three so you can wear a fresh one every night as Stewriffic suggests. Also, maybe get in the habit of keeping some witch hazel or other gentle astringent on your nightstand? use it right when you get up, and also if you get up in the middle of the night to use the bathroom or something? Frequent washing, and bleaching 1x month should help. Seconding not using fabric softener and natural fabrics. Also, to keep your skin less inclined to get irritated/clogged in the first place, maybe try using a mild, non-medicated cleansing pad (e.g., tea tree oil or witch hazel -- not something with salicylic acid or benzoyl peroxide) on that area every night right before you go to bed, then again in the morning after you get out of bed. 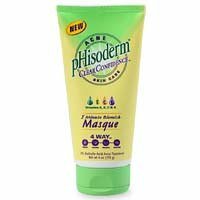 Phisoderm Clear Confidence Masque. After you wash your face, rub a little of this into the problem area and let it dry, then leave it on all night under the eye mask. In a few days you'll have clear skin there- it works really well to dry out problem areas. I wear hats a lot and I tend to break out where the hat crosses my forehead- I swear by this stuff. Plus it's like $7 at any drugstore, so you can't really go wrong.